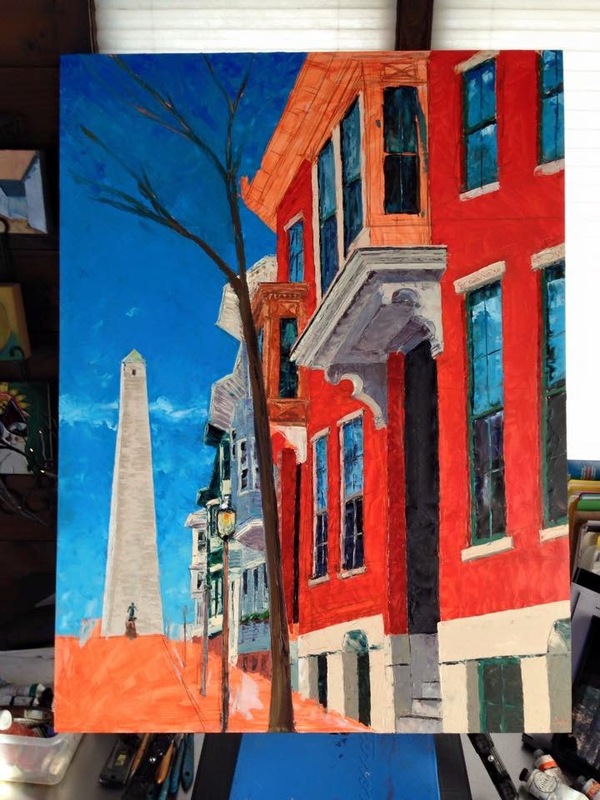 Susan and her husband asked if I would paint this scene from Charlestown, MA to go over the fireplace in their home. That is their home on the far right of the painting. 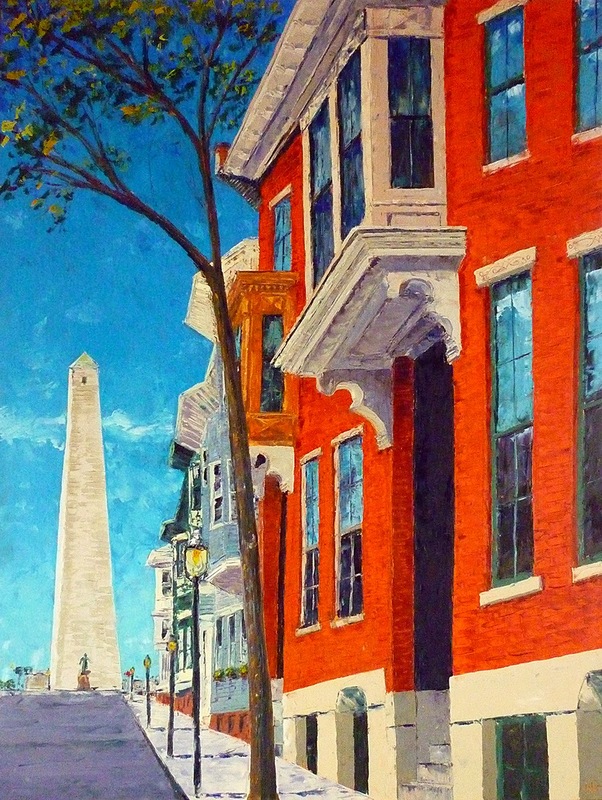 They have a great view of the Bunker Hill Monument from their street, Monument Ave. I loved the dramatic perspective of this view and one of the most difficult parts was getting the drawing right before I started painting it. I took this photo below of the drawing before I began to block in the colors. 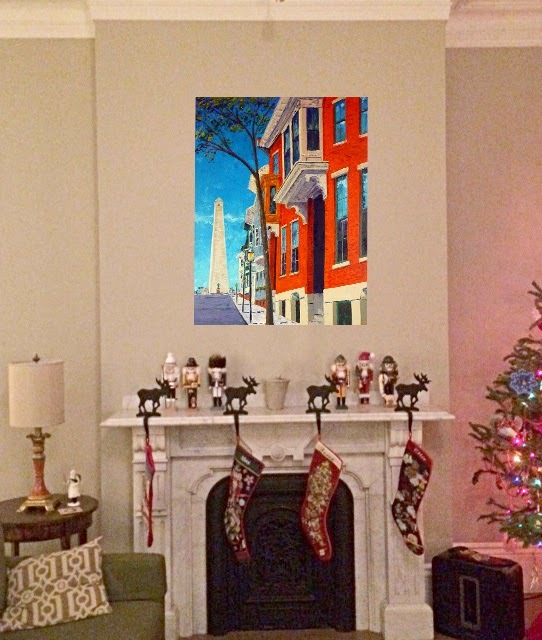 And just for fun, Susan sent me an image of the fireplace where they plan to hang the painting so I photoshopped the painting into her picture to give a rough preview of how it might look. She is coming to pick the painting up tomorrow so I hope to hear that she loves it as much in person as she did via email! Another pet portrait commission, Niko! 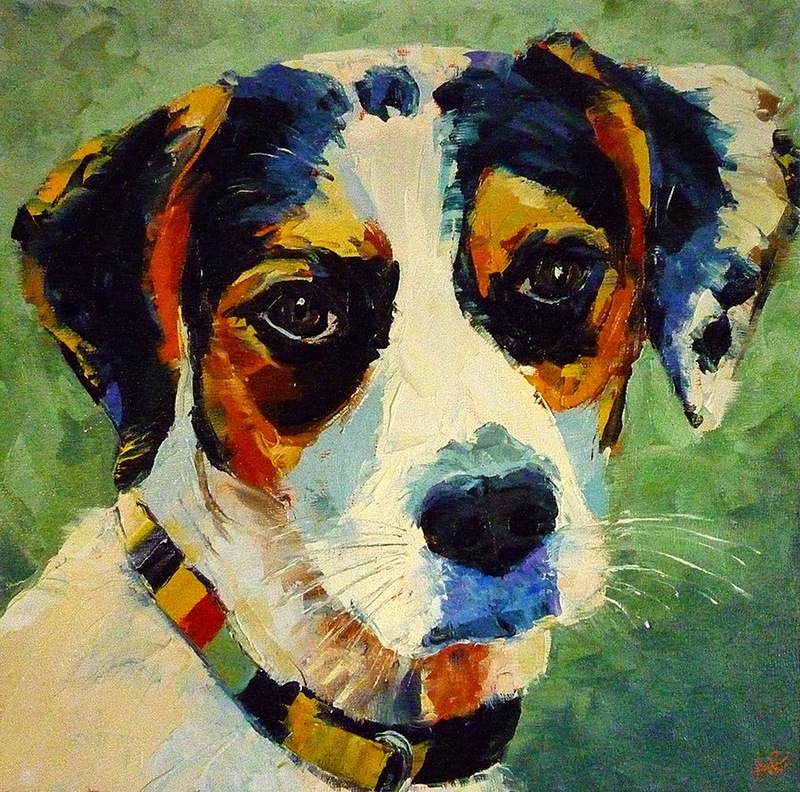 Ellen asked if I could paint a portrait of her daughter's dog Niko. He is another cutie, with his wonderful markings and great color! And, as I like to do, below is an in progress photo that I took along the way...It's kind of fun to see it at this early stage with just a few colors blocked in. My sister asked that I paint this cutie for a friend of hers for her birthday. As I was painting it, I couldn't help but keep singing that song in my head "Brandy, you're a fine dog, what a good dog you would be...". 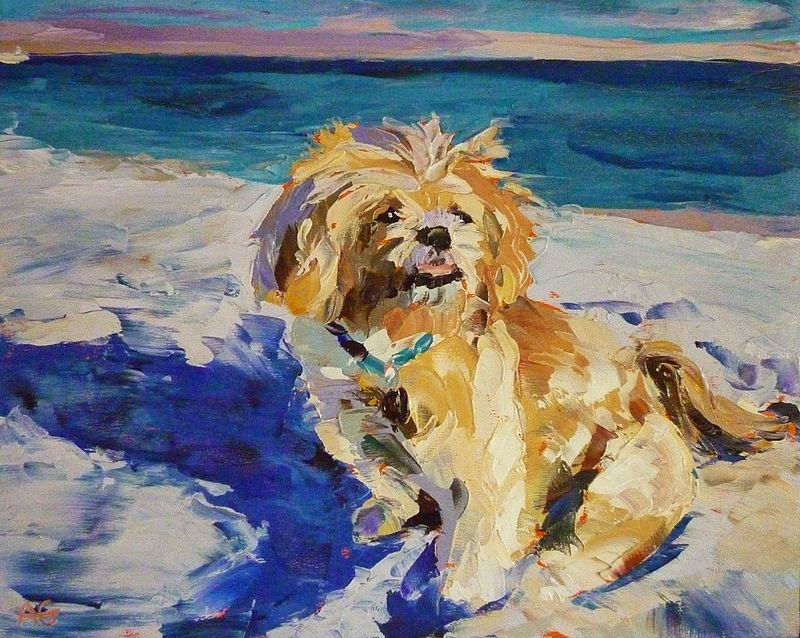 Unfortunately Brandy is no longer with us, but doesn't she look like she loved the beach? I received this book at an art supply Yankee swap with my art group over the holidays. As I begin the 7th year of my blog, I thought it appropriate to begin reading it today. I'll keep you posted on the interesting tidbits I learn throughout the year. Happy New Blog Year!